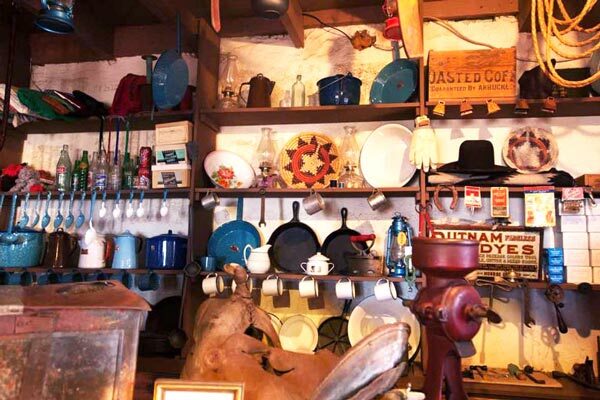 No visit to Goulding’s Lodge is complete without experiencing Goulding’s Trading Post Museum. 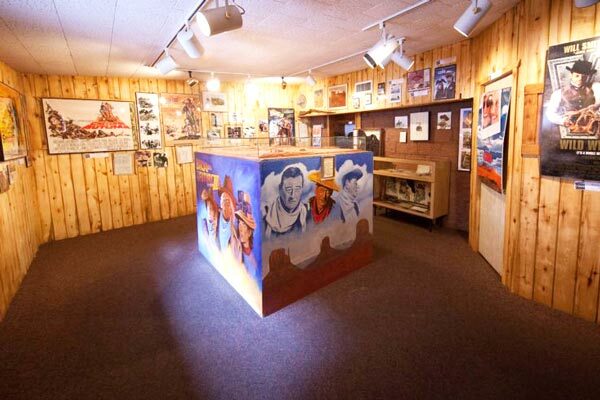 The museum opened in 1989 as both a showcase of artifacts and a glimpse into a bygone era. 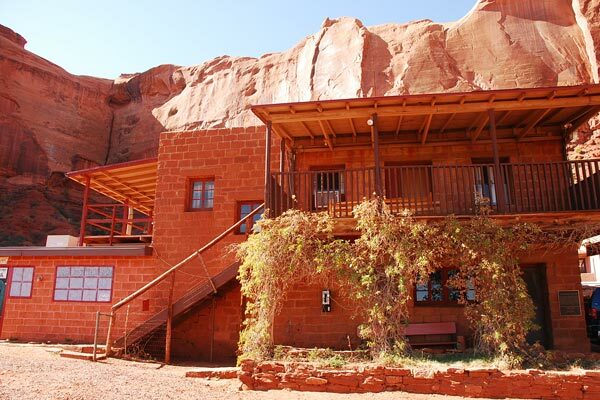 Goulding’s Lodge is not just a famous locale for Old West movies – it is also steeped in a rich history of trading, tourism, and culture. The museum is open to all visitors and admission is $2.00 for ages 12 & up, $1.00 for ages 3-11, and 2 and under are free. 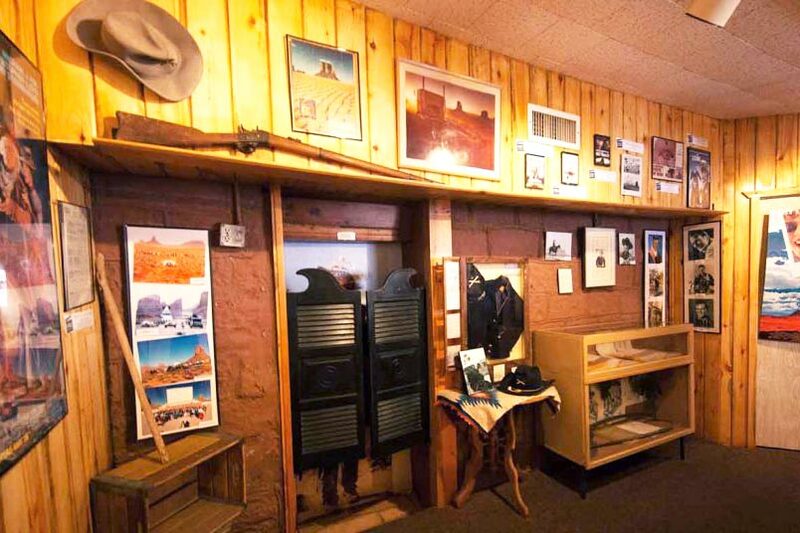 Goulding’s Trading Post Museum is comprised of several different areas. 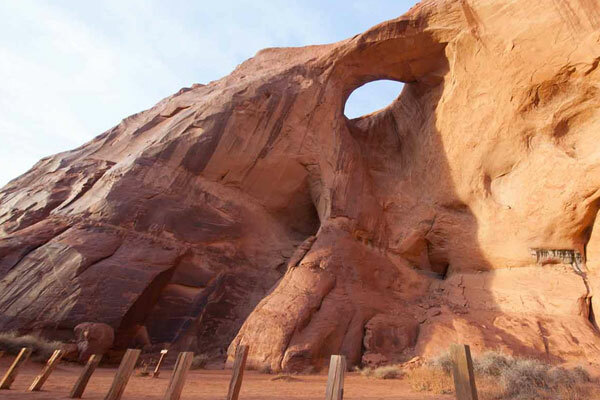 The first is the “Trading Post Bull Pen,” which was the heart of the trading post back in its glory days. 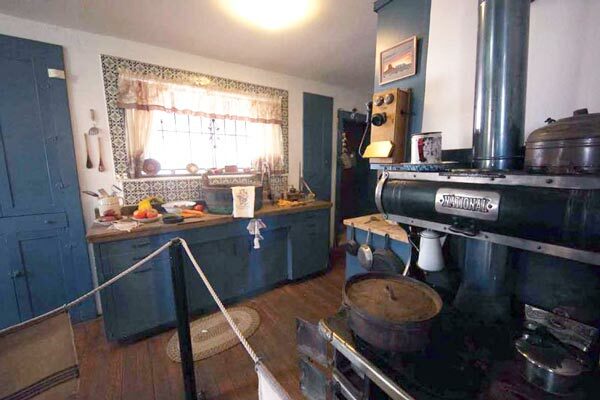 This small showroom was where the locals would bring their goods to trade for items available, such as kitchen wares, canned goods, material and threads, and even guns. Many current items in the Bull Pen are original, including the old scales. 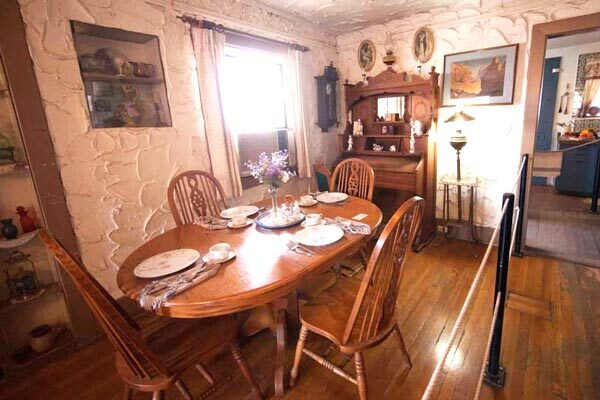 Next is the “Ware Room,” which was just that during the trading post era. Surplus and supplies filled this room; bags of raw wool, crates of coffee, and saddles were stored here. 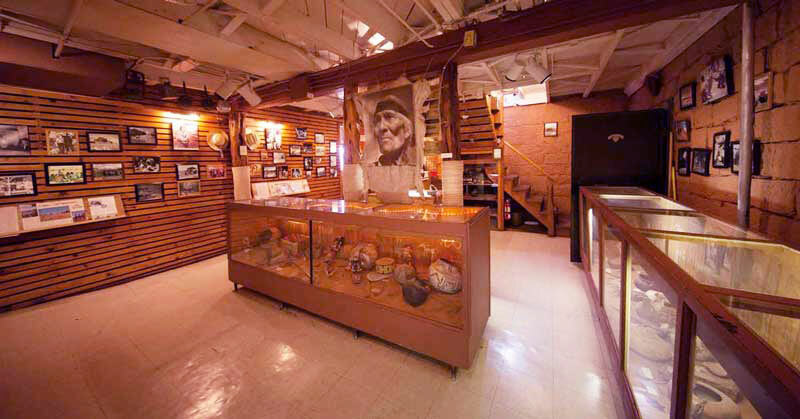 Today, the Ware Room is filled with photographs of the early days at Goulding’s and of local Navajos from the 20th century. 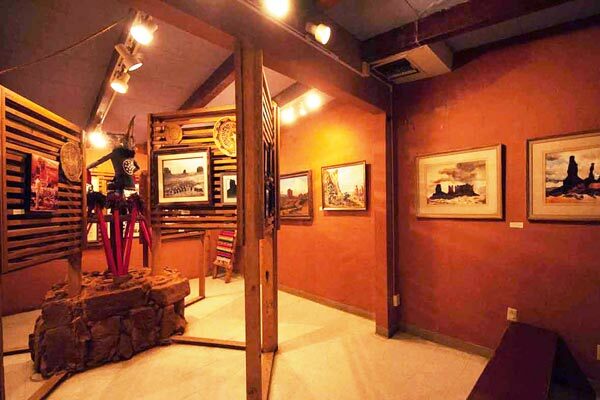 Display cases showcase historical pottery and other crafts from a variety of Native American Tribes. The “Josef Muench Room” boasts a variety of artwork and photography, principally that of famous photographer and close Goulding friend, Josef Muench. It was Muench’s photos that Harry Goulding used to catch director John Ford’s eye. A sampling of the Goulding’s jewelry is also displayed in this room, as well as some of their most personal items, such as their wedding certificate. The “Movie Room” was originally built as the mess hall for the crew of The Harvey Girls. Today, it is filled with movie stills, call sheets, posters, and other items from Hollywood’s Golden Age. 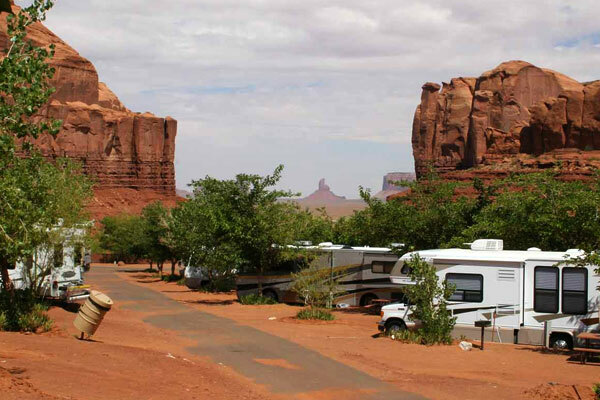 A detailed topographical map of the Monument Valley area highlights the different movie locations, and a classic John Ford-John Wayne film is always playing here. 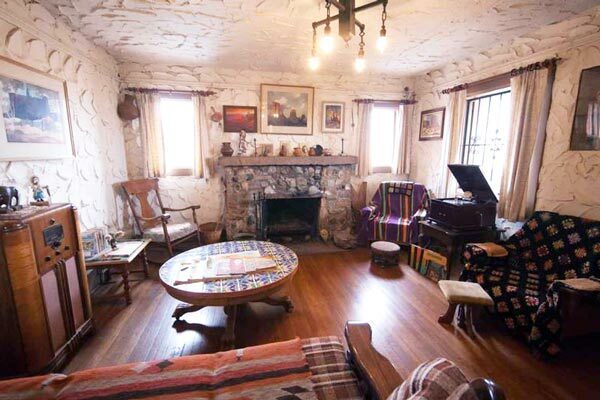 For a glimpse of the personal southwestern life, the upstairs “Living Quarters” has been restored as closely as possible to how the Gouldings’ home appeared in the late 1940s and early ’50s. After Mike Goulding’s passing in 1992, this area was filled with many of the Gouldings’ personal belongings. Though a simple layout, this living space was warm, comfortable and inviting – a tribute to both Harry and Mike and their commitment to personal hospitality. 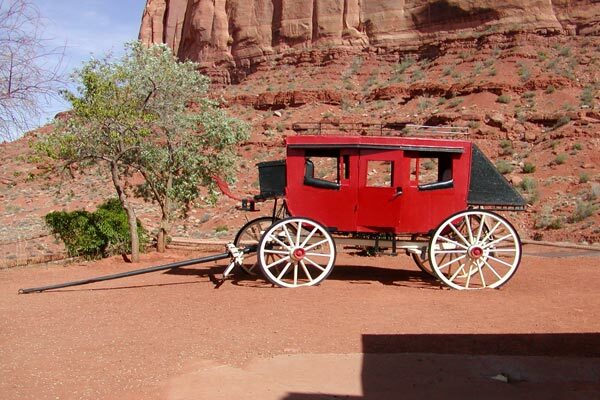 Just behind the museum is the “Captain Nathan Brittles Cabin,” also called “John Wayne’s Cabin.” Although in actuality, this was Mike Goulding’s potato cellar where she stored her fruits, vegetables and other perishables. When She Wore a Yellow Ribbon was filmed here in 1949, this structure was used for exterior shots of the personal quarters for the Cavalry Post’s commanding officer, played by Wayne (all interior shots were filmed in Hollywood studios). 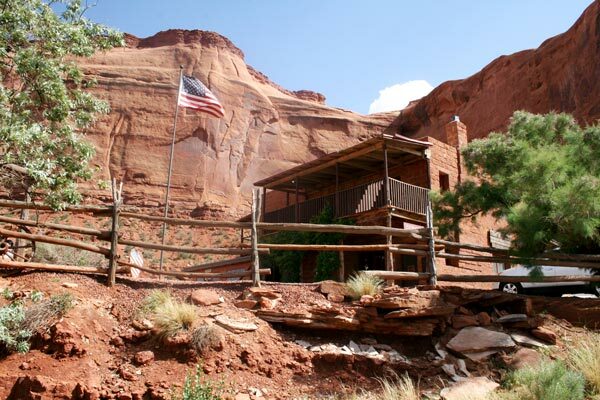 A mock-up of the Hollywood set is inside the cabin, as well as a vast array of still shots from She Wore a Yellow Ribbon. 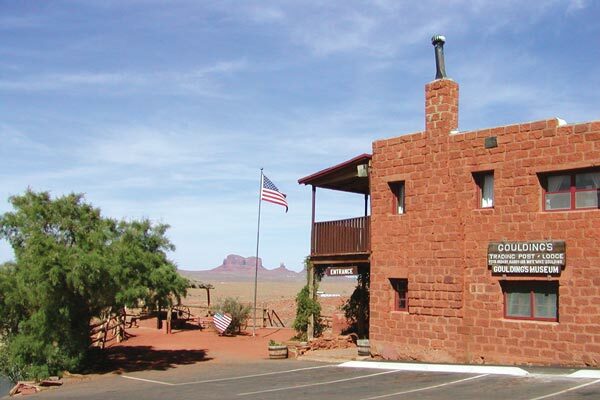 The mission of Goulding’s Trading Post Museum is two parts. First, to enlighten and entertain each guest with insights into a way of life that is quickly passing into memory. 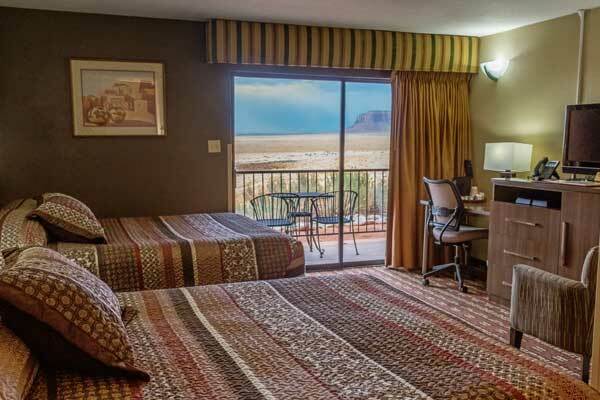 Secondly, to educate visitors to appreciate and respect the local Navajo and their way of life. 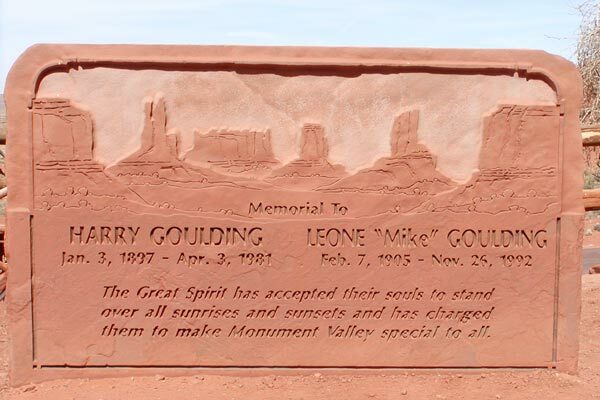 Goulding’s commitment to generating college scholarships through donations is one way we carry on the Gouldings’ love for Monument Valley, its people, and its many visitors.